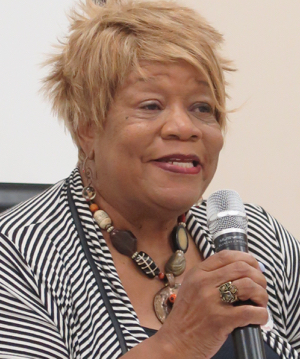 Delores Johnson Hurt addressed the Forum this morning about the work and scheduled activities about the League of Women Voters. The group’s website is here. Following that presentation and a number of questions, the Forum discussed issues relating to Black Lives Matter. A number of Forum participants took part. The video below, taken from the morning’s live stream to YouTube, focuses on Hurt’s presentation and the Q&A that followed.